If you're just a beginner videographer, then you probably do not have extra money to buy a professional camera. Buying a video camera requires a lot of investment. So do not rush to buy expensive professional equipment. First, try to shoot a video on a simple smartphone. Modern smartphones are equipped with high-quality video cameras. With their help, you can shoot video of almost the same high quality as with a DSLR camera. This will be a great start for you. What smartphone accessories will help you create a high-quality video without large investments? We suggest a mini-review of some of them. If you want to shoot a beautiful smooth video, then you need Smooth Q Gimbal from Zhiyun. It will provide an ideal stabilization of frames during video shooting. High-tech installation ALM mCAM will help you shoot high-quality video on the iPhone. Install it on your iPhone and use high-quality camera capture, attaching it to a tripod. It is very convenient. Also, it has interchangeable lenses: wide-angle optics and a macro lens for macro photography. Glass lenses will make the image on the video perfect. Plus advantages: a rugged case, compact and ergonomic design, multifunctionality. With this unique device, you can shoot perfect shots in any situation, from any angle. The microphone helps to reduce noise. You will get excellent sound quality. BeastGrip Pro is a kit that completely converts your phone camera and raises video to a higher quality level. Stabilizes video shooting. Improves video quality several times. If you want to use mirror lenses on your smartphone, then this kit will suit you. You can start shooting amazing wow-shots today. Once you get this unique installation on your phone. Mirror lenses help you achieve the required depth of field and create the best video from your phone's camera. You do not need to spend money on expensive DSLR. Bad sound can spoil the impression of even the most amazing wow-frames. 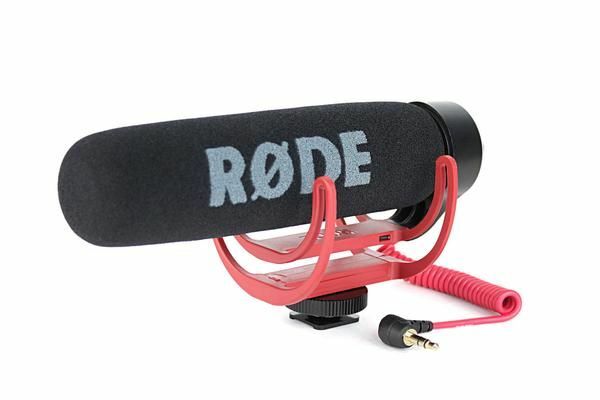 RODE VideoMic will provide the clearest possible sound. Affordable price. Only $100. It can be used as a microphone during an interview or to record the background noise. Make sure you have a TRS to TRRS cable to use this device with a smartphone. By the way, it perfectly supplements and complements the BeastGrip Pro kit mentioned above.